The chef knife is not only one of the most recognizable kitchen instruments, but also the hallmark of the cooking world in general. 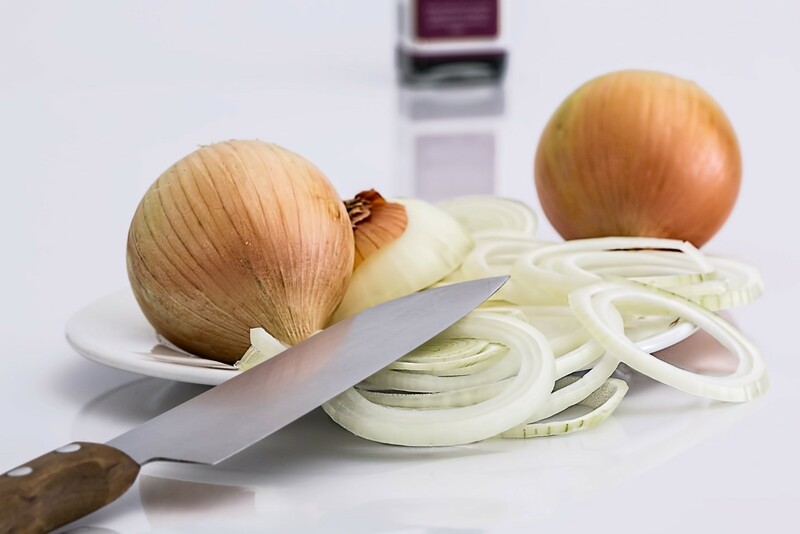 Chef knives are appreciated by cooking professionals for their high versatility, excellent designs and capability of handling a wide range of kitchen tasks, such as cutting, chopping mincing, and dicing. If you have never owned one, you might be wondering what are the factors that make a chef’s knife good, and what exactly you should be looking for next time you are out shopping. Luckily for you, we have compiled a small list of tips that will help you make a decision, as well as a few recommendations. If you want to see what other options are out there, make sure to check out this list of the best budget chef knives reviewed for more information. Without further ado, here is how to choose a chef knife. Most chef knife models are structurally similar, but you might encounter some regional differences. Japanese knives, for example, are aimed towards cutting tasks that require precision and finesse. German knives, on the other hand, are famous for their slashing and crushing power. A heel (broadest part of the knife) thick enough to cut through tendons and crush hard vegetables such as the winter squash without forcing the user to invest an excessive amount of effort. All good chef knives must come sharp right out of the box. If you want to test it, simply grab a piece of paper and run the knife through it. If the cut is swift, with a slight curve, then you will know that the knife is sufficiently sharped. The handle must be designed in such a way that it inspires confidence and safety. A good chef knife must feel like a natural extension of your arm, and the handle is a big part of this process. A sturdy bolster that properly balances the weight of the knife. This is also the component that ensures momentum, as well as seamless cutting motions. Now that we have established what potential chef knife owners should consider in terms of composition, it is time to take a look at design and certain physical aspects. The first thing to consider is the knife’s size. The most popular and common chef knives measure about 20 centimeters. While this size is ideal in terms of balance and ease of use, according to many professional chefs, people who want to cut a higher quantity of food in a shorter timespan might prefer the 25-centimeter variants. Alternatively, if you are looking for agility and momentum, you might want to go for 15-centimeter knives. The second factor to consider is the weight. There is not much to say in this respect, apart from the fact that chef knives tend to be heavier, while Japanese pieces are more lightweight. Finally, in order to ensure ease of use and proper cutting motions, a knife has to be balanced. To test this, watch in which direction the weight of the knife falls. If the weight falls towards the handle or the back, then you might want to try another knife. With that being said, let us take a look at a few models and see how they hold up. If you are looking for a sturdy, reliable and affordable 15-inch variant, this model from Victorinox might be up your alley. It features a 6-inch stainless steel blade, a trustworthy handle, and it comes sharp right out of the box. However, it is lighter than your average chef’s knife, and some users found the blade to be too flexible. But, at just $20, you are getting a lot of quality for the price. If you have started shopping with a tight budget from the beginning, you have probably lowered your expectations in terms of quality. However, you will soon get your hopes up once you get your hands on this Wusthof model. For $60, you get a reliable knife that features a high carbon stainless steel blade, and a triple-riveted polymer handle that will never disappoint. This knife can handle pretty much any kitchen task without any issues, whether we are talking about slicing thin pieces of meat or cutting through pork meat. If you are a chef knife rookie, you probably have not heard about this upcoming, family-owned brand. However, if they continue the trend of releasing high-quality knives such as the model highlighted in this entry, they will surely get more exposure as time goes on. Costing around $30, this KUTT piece comes with lots of useful features that you would not have expected to see in such a low-priced knife – an ergonomic pakka wood handle, a 7Cr16 Mov stainless steel blade, and a metal finger guard. On top of that, the knife comes into a nice package that includes a cleaning cloth, an odor remover, and a gift box, should you ever decide to offer it as a present. As intimidating as they might seem to the untrained eye, chef knives are extremely easy to use. If you are in the market for a reliable chef knife, but you do not know what exactly you should be looking for, make sure to read through our small guide, and you will get all the necessary information.